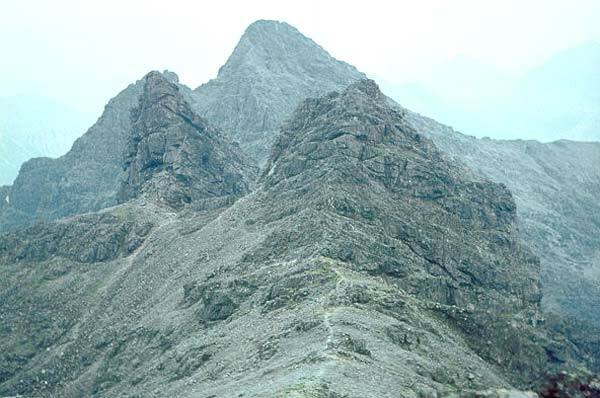 Am Basteir is one of the most N peaks on the Black Cuillin Ridge with the very distinctive Bhasteir tooth next to it. 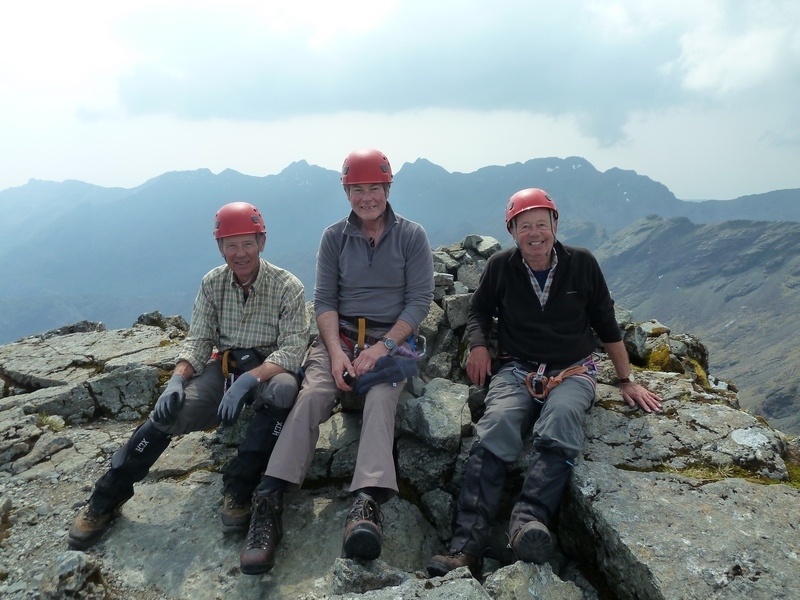 The Cuillin are composed of gabbro rock which gives wonderful grip even when wet, but this is a serious climb. Ascent starts in Coire a' Bhasteir N of Sgurr nan Gillean on a path marked by cairns up a rocky slope to the base of the pinnacled ridge. 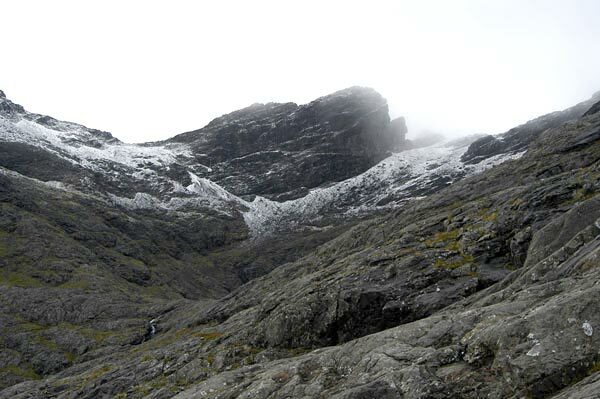 From here the route bears W above scree but below the pinnacled ridge becoming steeper as it ascends towards the N face of the summit and on to Bealach a' Bhasteir. Scramble up E ridge to summit but note you may require use of a safety rope. Looking down the east ridge of Bruach na Frithe to Sgurr a' Fionn Choire and Am Basteir, with Sgurr nan Gillean behind. 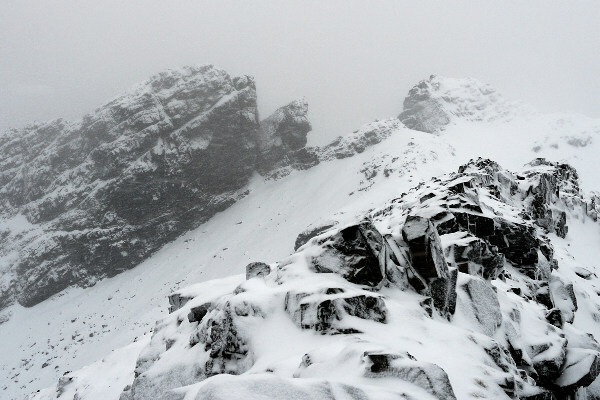 Am Basteir with mist in Coire a Bhasteir and clear on the South side of the ridge. The summary information of one or more ascent routes that include Am Basteir. 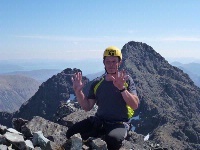 1 925 m 10.94 km 4 hrs Am Basteir The Cuillin should not be attempted unless you are comfortable with scrambling and exposure. 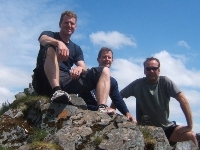 You are recommended to purchase and study a higher scale map of the Black Cuillin of Skye before attempting an ascent. Post a few words about Am Basteir or read what others have had to say. 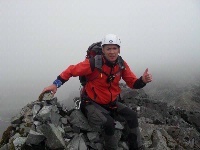 From the Sligachan up the Coire ascend Am Basteir via it's South face return to Bealach up Sgurr nan Gilliean v.diff, ropes required over bad step and abseil down. 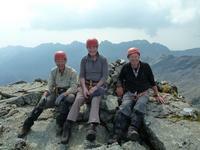 Then North side of Basteir to Bruach na Frithe, return and then back to Coire. Great Day! There's a bad step on the East Ridge just before the final lump of rock which makes up the summit. If you're confronted by it, turn around and retrace your steps for 50 yards, and head to your right (south) where there is an opportunity to climb down (facing the rock wall) to scree and terraces of sloping rock a few feet below. Once here, push up huge slabs to the summit crest. Remember, if you keep just to the south of the penultimate crest, you won't need to give up within sight of the summit - as some were doing when I was there.